A screenshot from Ali’s LinkedIn profile. KATHMANDU, Oct 9: Information Technology (IT) consultant to the prime minister, Asgar Ali, who is also chief executive officer (CEO) of eSewa Fonepay Private Limited, has been accused of abusing his position to pressure various authorities to provide private and sensitive information concerning the public at large. Officials at various government agencies have expressed serious concern over this, saying it can be a conflict of interest for an IT consultant to collect such vital information, as he is also involved with a company that engages in electronic financial transactions. Such vital information can easily get used for the benefit of the private company, they point out. Officials said a case was already filed against Ali at the National Vigilance Center (NVC) on August 14. “Since he is the IT consultant to the prime minister, we cannot take any action against him. Therefore, we have forwarded the case to the Office of the Prime Minister and Council of Ministers (PMO),” said NVC Spokesperson Bishnu Prasad Lamichhane. 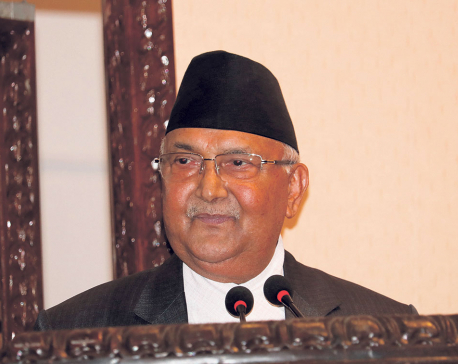 Joint spokesperson of the Commission for Investigation of Abuse of Authority (CIAA) Madan Koirala said that a case was filed at the commission also against Ali and that case too had been forwarded to the PMO. PMO Spokesperson Binod Kunwar, however, said he has no idea about these matters. Asked about the case forwarded by the CIAA office on August 17, Kunwar asked Republica to consult the section concerned under the office. The case filed at the PMO has the registration number 2073 . Janak Raj Sharma, who filed the case, has accused Ali of exerting pressure on officials at various state agencies in order to expand the business of his private company. “We can take the recent agreement between the Agricultural Development Bank and eSewa as an example of this,” he said. Knowledgeable sources claimed that the IT consultant's activities are unethical and illegal. Senior Advocate Ram Kumar Rai said Ali's activities are an abuse of authority and infringe the right to privacy guaranteed by the constitution. Sources within various authorities claimed that Ali has been repeatedly pressing them to extract data from the Department of Passports, the Department of Labor, the Department of Transportation (concerning driving licenses) , and the entire data from the National Identification Management Center, among various other government agencies that hold vital data concerning members of the general public. An official at the Election Commission said they were also constantly pressured to provide details concerning voters. However, Ali has denied the claims, saying he has not asked for data from any state agency. Asked if such data was sought as per the orders of the PMO or for his personal use, Ali told Republica that he has not attempted to gather any private information about the public. The authorities concerned, however, assert otherwise. They have asserted that Ali has been repeatedly pressuring them to provide information, claiming that it was sought by the prime minister himself. Also, Ramesh Thapa, general secretary of Nepal Association of Tour and Travel Agents (NATTA), has accused Ali of selling air tickets through his e-Sewa without taking permission from the tourism department or fulfilling other necessary criteria. Ali didn't want to comment on this. A source from the Home Ministry, who requested anonymity, said Ali has been repeatedly pressuring officials at the ministry to provide private information on the general public. “At first, he claimed that he needed the information for installing a system at the prime minister's official residence to check the ID of visitors,” the source said. Experts said such misuse of information on people that is maintained by various state agencies is against international governance. However, Kundan Aryal, press adviser to the prime minister, claimed that the IT consultant must have asked for the information for some important work. Asked if Ali had requested the information under the direction of the prime minister, Aryal said he does not need the prime minister's direction for all his work. Former justice Balram KC said one can't seek private and sensitive, personal data even if one is working as an IT expert at the PMO. He added that it is the state agencies' duty to protect the privacy of citizens. Constitutional expert Dr Purnaman Shakya said that even a government body cannot seek someone's personal details without first explaining the purpose in writing. 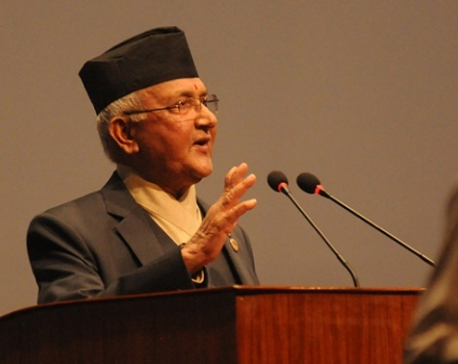 BHADRAPUR, Oct 18: Prime Minister KP Sharma Oli has said the next budget would increase the allowance to the senior citizens.